Elegantly unexpected word pairings heighten the readers’ awareness of the world Parker inhabits, where, with the precision of a botanist annotating slides, the poet describes sensations and experiences with tender familiarity. Sensual and elemental, this is a skilful collection that murmurs of emotions heaving just out of sight and on the edge of hearing. Parker seems to have no qualms about exposing her own vulnerabilities, which makes her work all the more breathtaking. 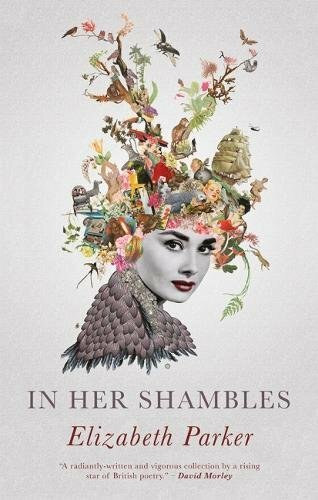 In Her Shambles is a celebration of women, families and nature, astonishing in its originality while offering up disarmingly recognisable views. Through reading it you may learn to see your own surroundings with fresh eyes. But the magic of this collection is that it’s likely you’ll catch a reflection of yourself, and find yourself wondering how, exactly, this poet knew. In Her Shambles by Elizabeth Parker is published by Seren. Buy your copy from Amazon. Read my review of Antinopolis by Elizabeth Parker. This entry was posted in Reviews and tagged Elizabeth Parker, In Her Shambles, poetry, Seren Books by Judy. Bookmark the permalink.